• Specially Formulated To Kill Fleas, Ticks and Lice On Cats and Kittens. • This Rich Formula Creates A Luxurious Lather That Rinses Easily, Is Gentle On Skin and Leaves Coat With A Beautiful Luster. • Scent Will Last Up To Two Weeks. 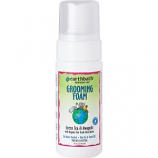 • Soothe The Skin and Extra Mconditioners To Help Make The Coat Shiny, Manageable and Free Of Mats and Tangles. • Kills Fleas, Ticks and Lice On Contact, Adds Shine and Manageablility To The Pets Coat, Fresh Scented Formula. • Flea and Tick Shampoo For Use On Dogs, Cats, Puppies and Kittens. 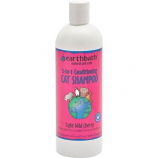 • Enriched With Protein and Lanolin To Moisturize Your Cat S Skin. • It Will Leave Your Cat S Fur With A High Sheen and Fresh Scent. • Non-Irritating To Eyes and Skin. Extra gentle pH balanced. . . . .
Fragrance free hypo-allergenic. Ultra-mild and pH balanced and gentle for even the most sensitive cats. . . . 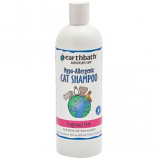 Specially formulated for cats in a convenient rub-on towel off formula for cats who don't enjoy traditional water-based bath. Mild cleansers deodorize freshen and clean. . . .
Hypo-allergenic. Gentle cleansers wisk away dander dirt and residual saliva. Leaves pets' coats incredibly soft and shiny. . .
• Flea and Tick Shampoo For Horses, Ferrets, Dogs, Cats, Puppies and Kittens Over 12 Weeks Of Age. • Wet Animals Coat For 2-3 Minutes With Warm Water. • Apply Shampoo On Head and Lather. • Repeat With Rest Of Body. • See Label For Complete Instructions. • Deflea Rtu Cat Shampoo 8 Oz. Attacks The Physical Structure Of The Flea Or Pest By Dissolving The Waxy Protective Coating. • Will Enhance White and Light Coats Without Bluing Or Bleach Agents. • Ready-To-Use Spray That Works Without Soap Or Water. • Cleans, Conditions, Deodorizes, Detangles and Shines. • Removes Stains and Brightens Color. • Use On Horses, Dogs, Cats, Llamas, Sheep and Cattle. Note: This product is restricted to CA. • Flea and Tick Shampoo For Horses, Ferrets, Dogs, Cats, Puppies, and Kittens Over 12 Weeks Of Age. 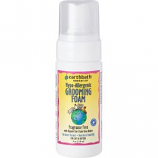 • Oatmeal Soothes, Neem Oil Aids In Flea and Tick Skin Irritation and Baking Soda Deodorizes. • Quick Soothing Without Steroids. • Safe To Use Along With Topical Flea & Tick Products. • Safe To Use With All Topicals.